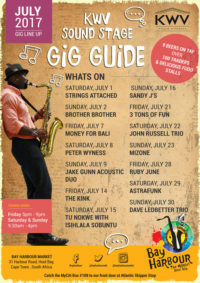 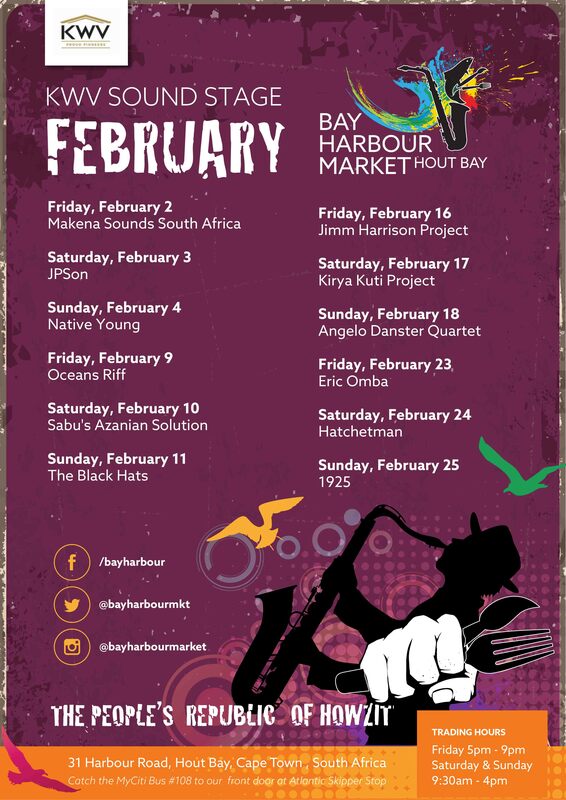 Check out this month's Live Music lineup at The Bay Harbour Market in Hout Bay! Join us this November at the Bay Harbour Market for some live entertainment by various exciting artists. 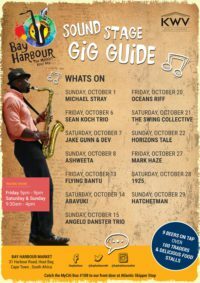 Join us this October at the Bay Harbour Market for some live entertainment by various exciting artists. 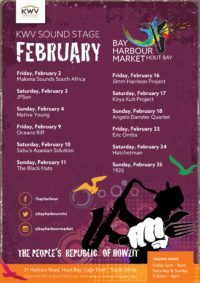 Take a look at what's happening at the Bay Harbour Market in Hout Bay this September. 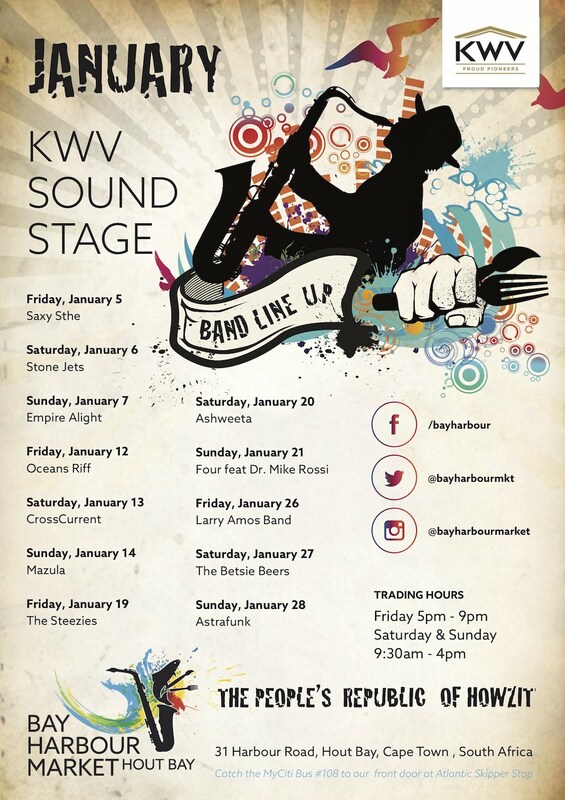 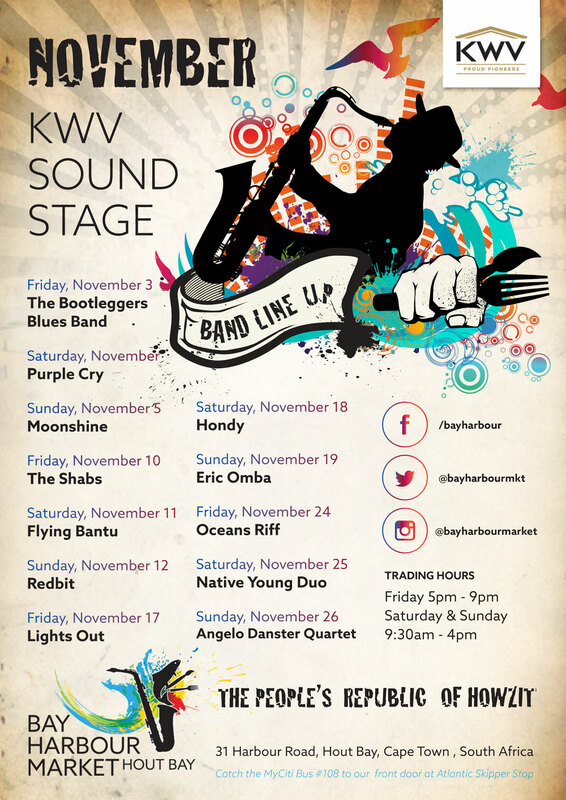 Check out who's playing on the KWV Sound Stage and the Bay Harbour Market this August. 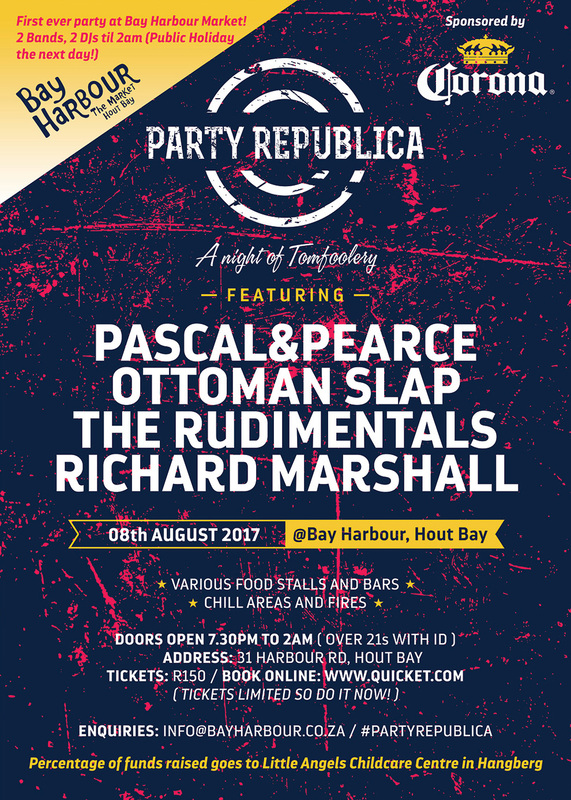 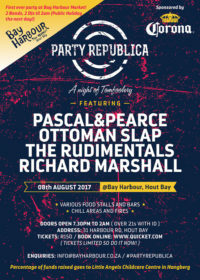 Pascal & Pearce, The Rudimentals & More LIVE! 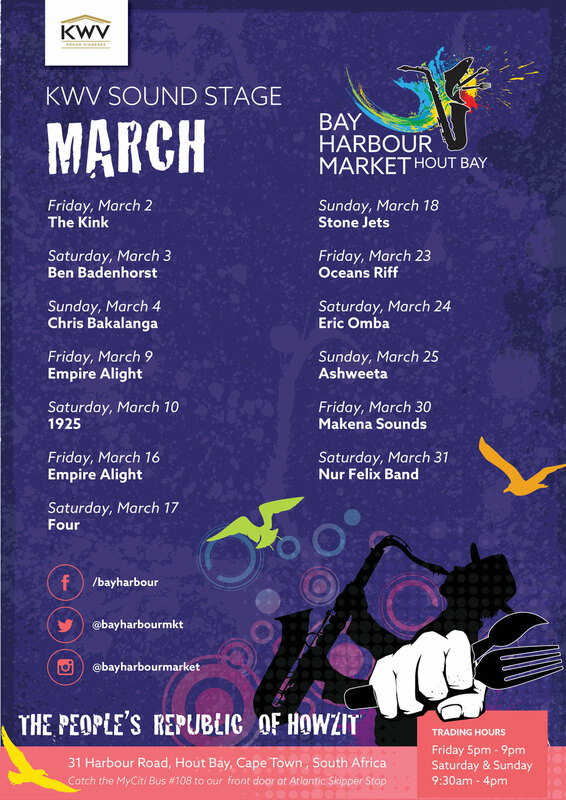 It's the middle of winter in the Cape. 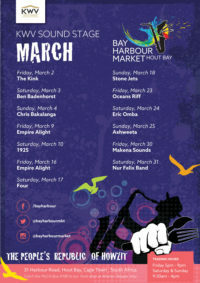 Pop down to the Bay Harbour Market, get a seat near the fire place and take in the sights, sounds and tastes.